Generally, if writers want to remove a character from their television series, they will either kill that character off or put him on a bus (or both) to explain their continued absence. Sometimes they exit a series, only to return later. But the character is then played by a entirely different actor. Sufferers of the infamous Chuck Cunningham Syndrome, on the other hand, simply disappear into nothingness. The character is simply gone from the show, while, of course, everyone else still left on-screen will simply carry on as if the character never had existed. This is sometimes caused by the writers gradually losing interest in the character and, without making a conscious decision to remove them, eventually forgetting about them entirely. More often, complications behind the scenes (pay disputes, unexpected pregnancies or rows) drive the decision to remove a character. Chuck Cunningham was patient zero. 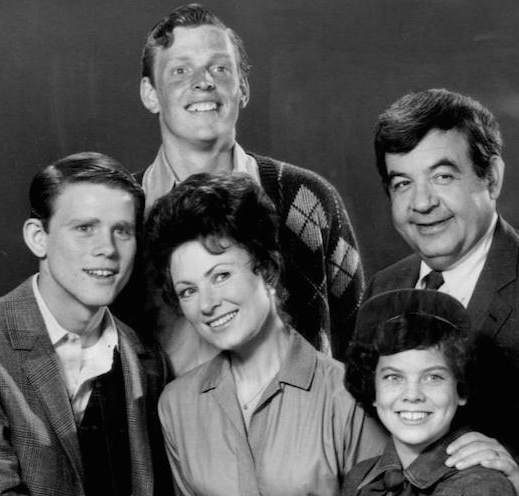 He was the eldest brother of Richie and Joanie during the first season of the long-running sitcom ‘Happy Days’ (1974), but he never had much to do besides stand around holding a basketball. At the start of Season 2 (1975), Chuck was gone, and never seen or referenced to again. He just played in 9 episodes, while the series ran for 255 episodes.